The majority of websites we build include a designated spot to publish new content. Most times this comes in the form of a blog but it may also come to life in a "resources" or "articles" section of a website. One common mistake that we tend to see happening with web content is that companies will write content without overarching goals or an audience in mind. If you’re going through all of the effort of writing content, don’t you want people to find it and read it? 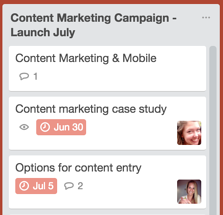 At ArcStone, we use Trello to execute our content marketing strategy. It helps us define the audience we’re targeting, the main topic, important keywords, calls to action and much more. Seriously, we’d be lost without Trello. If you’re looking for a way to stay organized, give it a try. 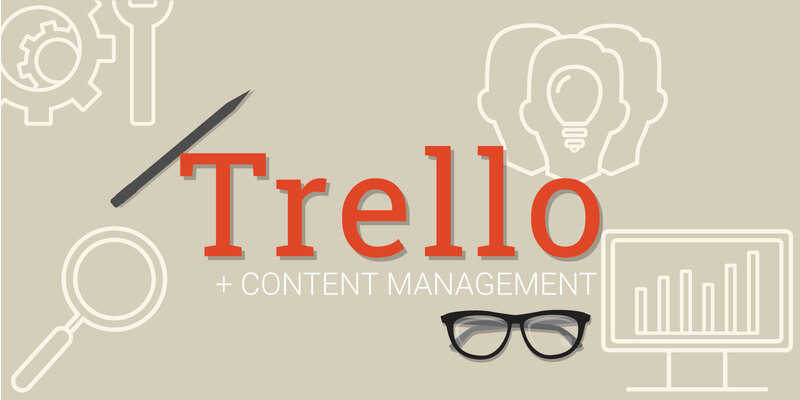 Today I’m going to show you how a simple Trello workflow can help organize your content marketing strategy, aid in collaboration and make producing new content easier. We start the process by deciding on a monthly theme. Most times, our ideas come from questions our clients are asking. People often start by choosing keywords when they’re brainstorming blog topics, but you have to be careful here. Thinking about keywords before anything else often results in content that feels unnatural and stiff. That’s why I recommend the theme approach. Once we’ve decided on a theme, we start brainstorming topic ideas. Since everyone on our marketing team has unique skillsets, the angles range in a strategic, yet natural way. For instance, if our overarching monthly theme is answering questions about a website redesign plan, Chloe’s posts may be more oriented towards design, Jerod’s more towards analytics and data and mine would be positioned around audience behavior. This will naturally generate content that targets people at all stages of the buying cycle and helps the content appeal to more audience groups. Once your team has a monthly theme and a giant list of potential topics, it’s time to determine primary messaging and appropriate calls to action for each piece of content. Because you’ve already identified the main theme, all you need to do is look at each piece of content from that lens: what message are you getting across and what should your audience's next steps be? 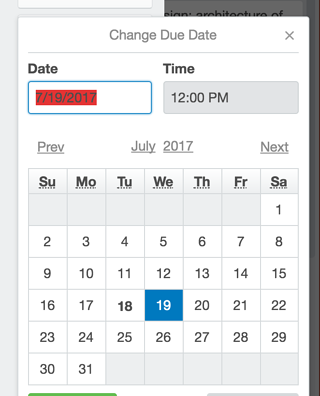 Assign content to team members and set due dates. 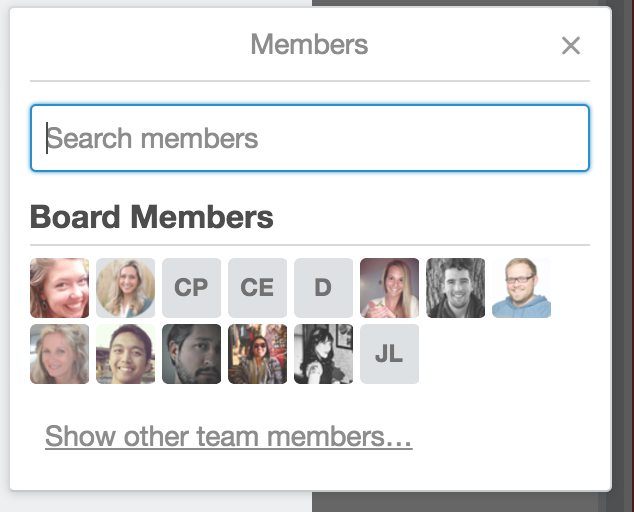 Trello makes it really easy to add team members to specific cards and add due dates that show up on the calendar. This is especially helpful when you’ve got a team of people collaborating on the theme. It will help you all hold each other accountable. 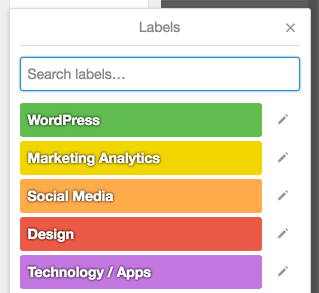 We write our drafts in Google Docs and attach them to the specific Trello card. That way, other team members can offer feedback. Once the draft is created it’s easier to see what specific topic that piece of content is about. It feels best to take an idea and let it develop without too much manipulation. Be sure and note the focused keyword on the content card. You’ll need that later after you publish the piece of content so that you can optimize your post around it. Learn more about blogging SEO tactics in, "Best practices for optimizing blog content." At this point you can also make notes about marketing channels, promotion dates, supporting images, title ideas and more. 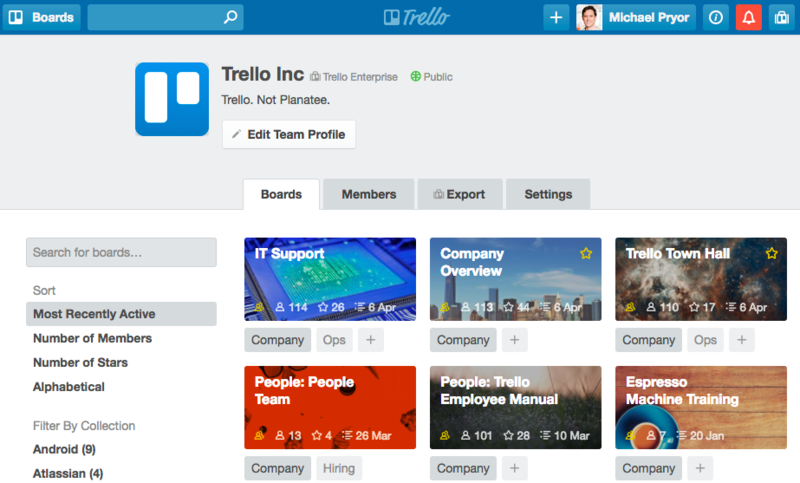 Sign up for Trello here—we hope you like it as much as we do. This is simply how we use the tool but you should definitely adapt it to your specific needs. If you'd like some help getting everything started, don't hesitate to reach out to us at ArcStone.